SDSU sophomore forward Mia Root (right) goes for the ball against UCLA redshirt sophomore midfielder Meghan Scudero (left) during the Aztecs' 3-0 loss to the Bruins on Sept. 16 at the SDSU Sports Deck. 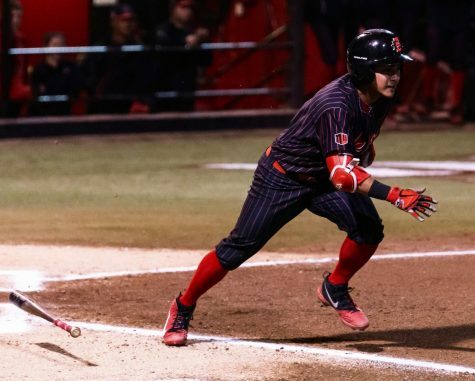 San Diego State women’s soccer was unable to overcome an aggressive attack by No. 8 UCLA, falling 3-0 in front of a season-high 1,314 in attendance on Sunday evening at the SDSU Sports Deck. 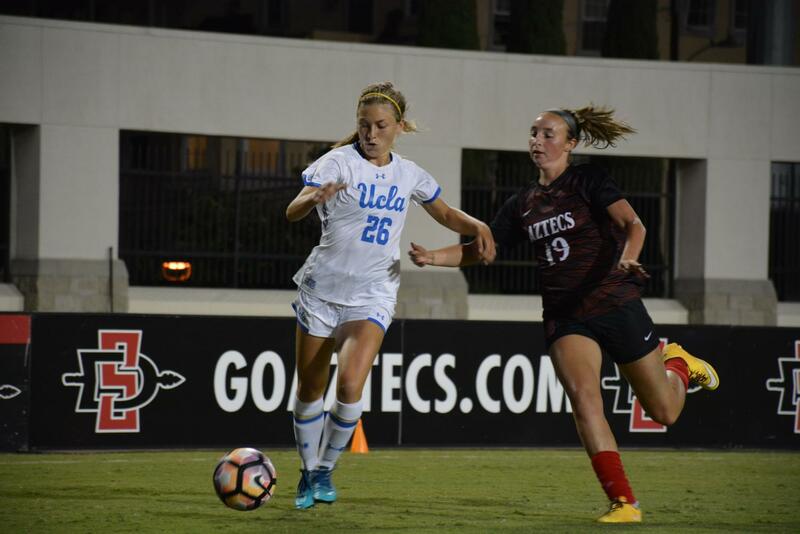 SDSU (2-6) appeared to be overmatched by its nationally-ranked opponent, registering only a single shot attempt while allowing UCLA to get off 20 shots, 10 of which ended up on goal. Head coach Mike Friesen said the team played well overall defensively, but ultimately failed in keeping the Bruins off the scoreboard. UCLA (5-1-1) already led by two scores at the half, and kept its foot on the gas coming out of the break after sophomore midfielder Delanie Sheehan placed the ball in the back of the net only 27 seconds after play resumed. 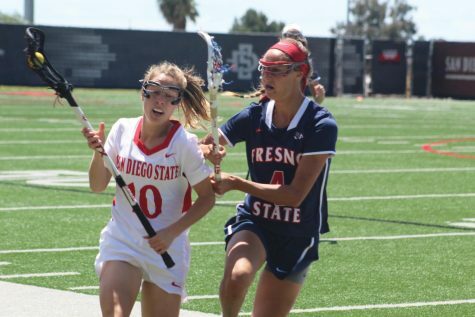 While the goal put the Aztecs into an even bigger hole, Friesen said it did not make much difference to the game’s end result. 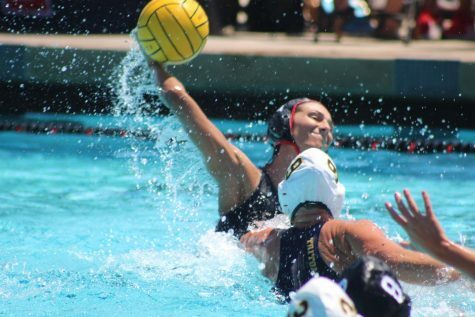 Bruins senior forward Hailie Macie had a foot in both of the first two goals, scoring off a deflection assist by senior midfielder Anika Rodriguez at 23:59, before assisting on a goal by sophomore defender Karina Rodriguez with 46 seconds left in the opening half. Macie was one of four UCLA players who had at least three shot attempts, with all of them landing on goal. 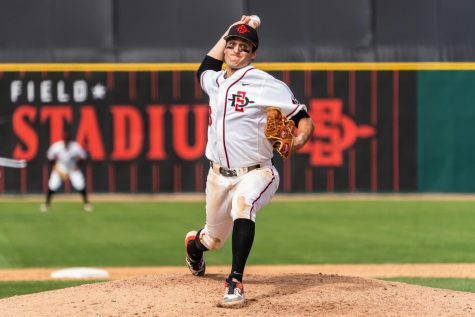 Friesen said the Aztecs like to test themselves at the start of the season by playing teams with as much talent as the Bruins. “What we want to do in this part of the season is see how much better we can get by playing the absolute best,” he said. 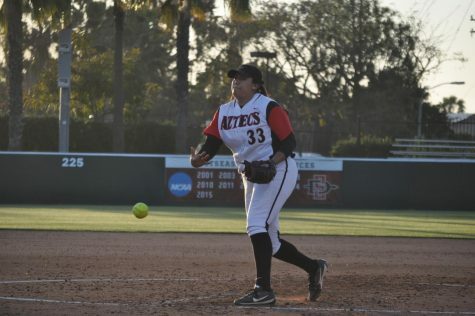 The most active player on the stat sheet for the Aztecs was redshirt junior goalie Gabby English, who finished with six saves while anchoring a defense which was back on its heels all night. 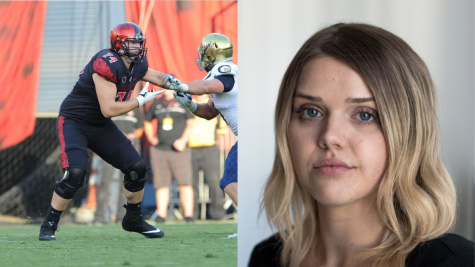 English said she chooses to focus on the positives from playing a team like UCLA, attempting to cherish the opportunity to compete against one of the top teams in the nation. The Aztecs lack experience on the defensive side of the ball, with the team starting the game with a backline consisting of freshman Lauren Dicus, freshman Lovisa Norrby and sophomore Sarah Broacha. English said while the youth of the defense can lead to errors, she is impressed with how the defensive unit has shown resilience through tough times. 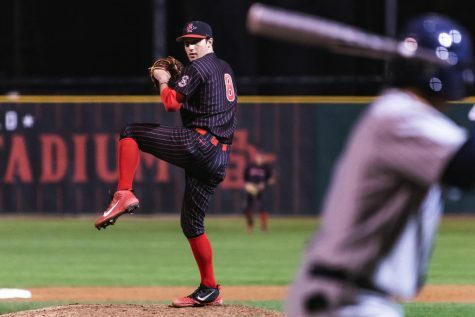 The Aztecs have lost three straight games heading into conference play, and Friesen said that while it can be tough on a team to have a losing record, there are brighter days ahead. 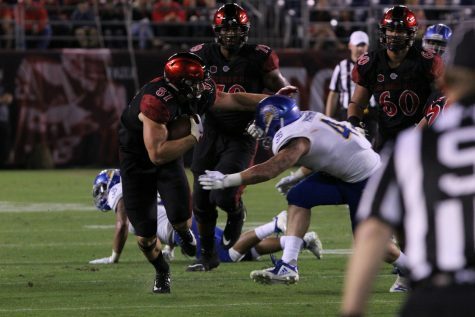 SDSU will open its Mountain West Conference schedule with a home match against the University of Wyoming on Sept. 21 at the SDSU Sports Deck.